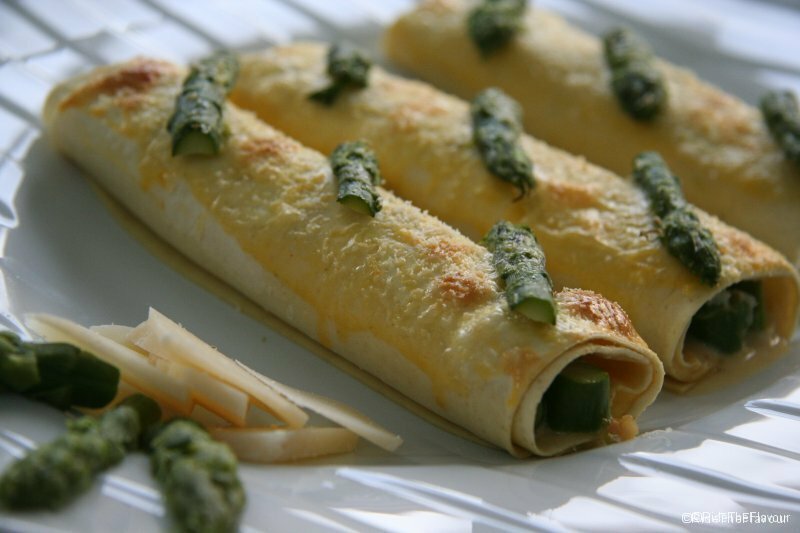 As promised here is a second recipe to feel like diving in Italy, Ride the Flavour gives you a variant of the ricotta cannelloni: The cannelloni with asparagus and parmesan. 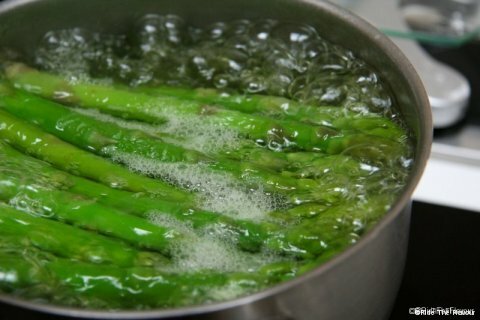 1) Cook the aparagus into boiling water for 8 minutes and freshen up. Keep the tips and slice the rest. 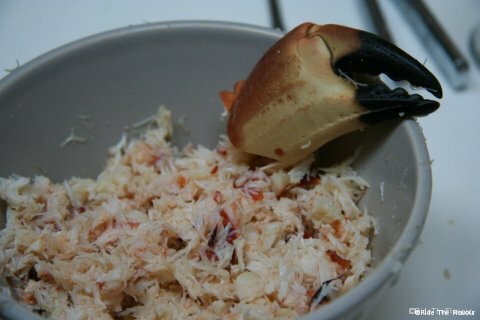 2) Peal and chop the shallots, crumble up the crab meat and slice the basil. 3) Cook the shallots with olive oil, add the white wine the crab meat, the asparagus, the basil and the cream and cook it for 5 minutes. 4) Add 2 egg yolk and 80g of grated parmesan and put it in the fridge. 5) Cook the lasagna sheets (one by one) for 3 minutes into boiling salted water with a dash of oil, and freshen up. 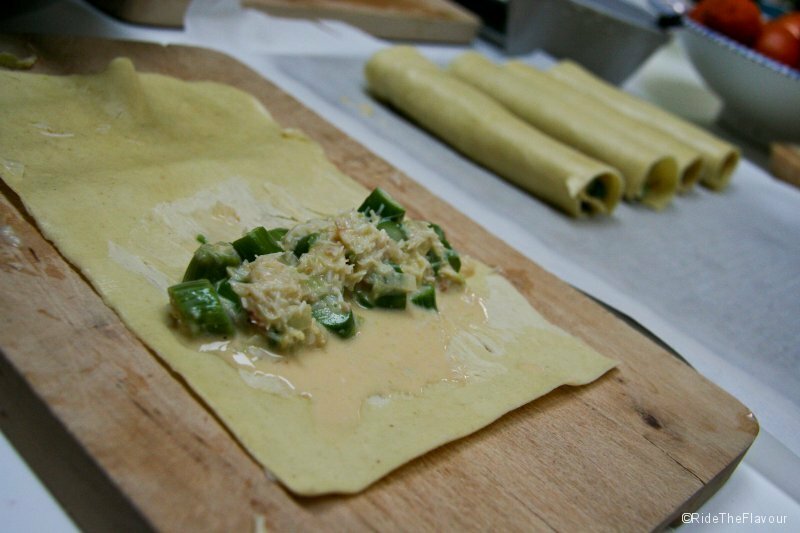 6) Fill the sheets with the mixture and roll them. 7) Put them on a plate, spread the remaining egg yolk on the cannelloni. 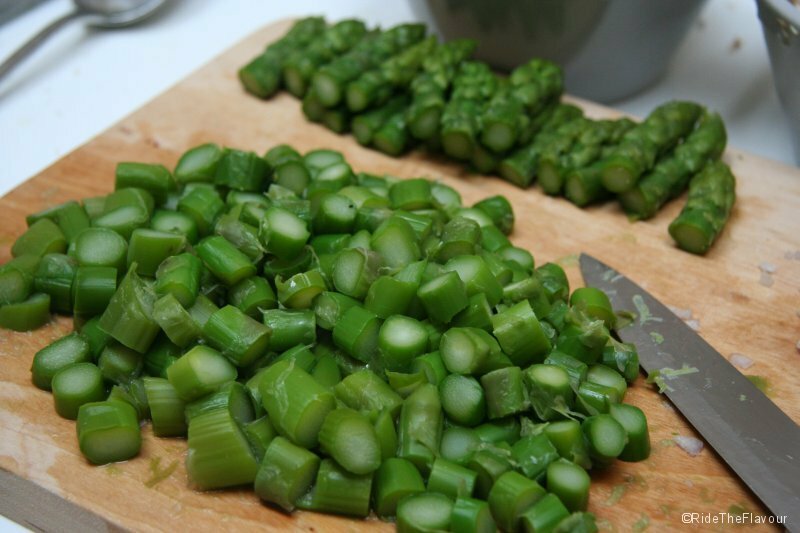 Cut the asparagus and put them onto. 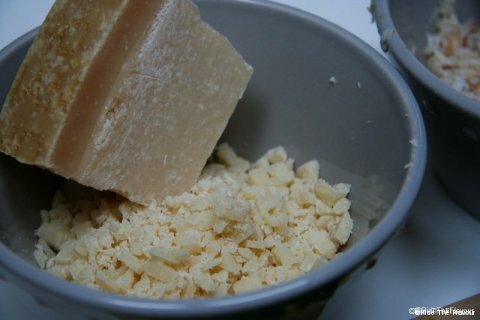 Dust with parmesan. 8) Put them in the oven for 8 minutes at 170°C until they get gold colored. For more flavours in your plate, we advise to serve together the cannellonis with asparagus and parmesan with the riccota cannelloni.